This year’s East of England Winter Stock Festival in Peterborough saw a strong selection of well turned out animals. Experienced judges had some difficult decisions across the cattle, sheep and pig sections over the two-day show, which took place on November 30 and December 1. 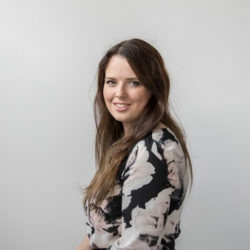 To top it off, buyers were prepared to dig deep with Melton Mowbray Livestock Auctioneers to ensure they have some of the best produce on their shop counters this Christmas. The Supreme Commercial Cattle Champion didn’t have far to travel. 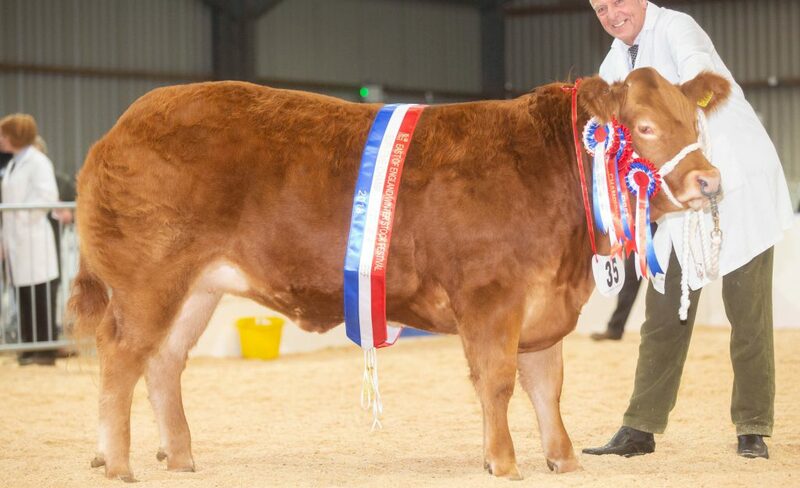 Phil and Sharon Sellers from Lincolnshire were tapped out first with their Limousin heifer Fancy That, which then went on to sell for £5,500 to Kitson Butchers, North Yorkshire. Staying with the prime cattle, the Baby Beef Champion, which took place on Saturday, went to 16-year-old Alice Harrison with her Limousin cross, Bootilicious. 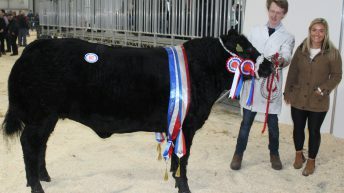 This was a big achievement for the young stockman’s first ever visit to the Winter Stock Festival. Leading the way with the commercial lamb classes and for the second year running the Supreme Champion title went to Robert Garth and Sarah Priestley, North Yorkshire with their crossbred Beltex. Beltex then led again with the lamb carcass championship going to the Geary Family. The hotly contested breeding ewe championship went to Graham Jackson, Bentham. 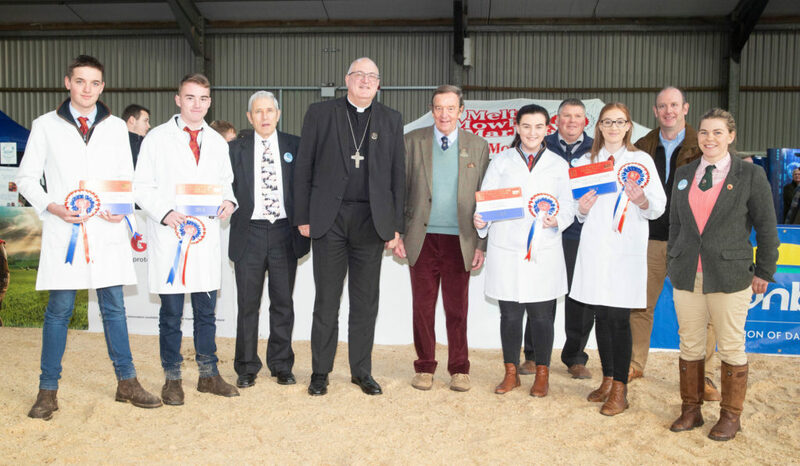 Over in the pig section under the watchful eye of judge Robert Bowring, the modern pairs went to Kim Arden with their Landrace and Charles Bull taking reserve and supreme traditional pairs with his Berkshires. The crossbred and supreme pairs then went to Mark Wilson and his Pietrain/Saddleback. Finally, the pedigree calf show saw the interbreed title go to Judy and Bridget Borlase, Herefordshire with their Simmental calf Perrywood Jasmine. The group of three was won by a team of British Blues from Kevin Ludgate; the Geary Family; and Barwood and Padfield. 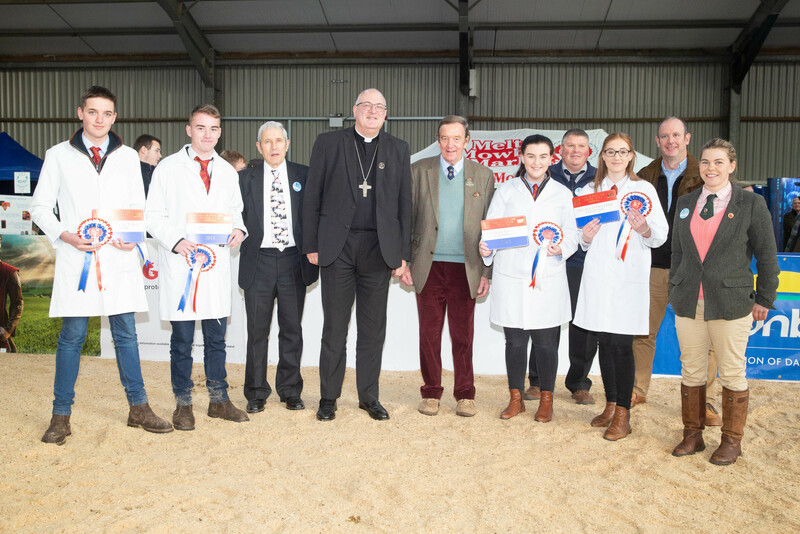 Alongside the busy livestock rings, the tension was building for the youth competitions, Friday’s College Challenge saw the first and second place go to Newton Rigg College, Cumbria and third place to Hartpury, Gloucestershire. The final of the Young Stock Person of the Year in the beef section to Norfolk-based Anabelle Howell (17) and the section to 15-year-old Ryan Lee from Carmarthenshire. The 2019 event will take place on Friday and Saturday, November 29 and 30. The full set of results is online on the Winter Stock Festival website.